I am an experienced and sought after speaker on the topic of sleep and insomnia and regularly speak on stages and present workshops on the topic from the importance of sleep through to overcoming insomnia and other sleep problems. 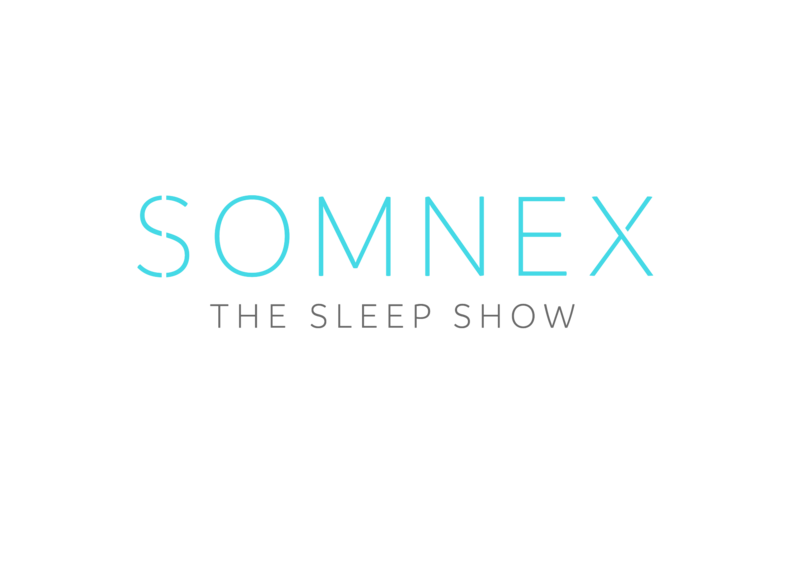 SOMNEX | The Sleep Show, the first ever exhibition dedicated to sleep-health. Opening its doors to 10,000 visitors from 12-14 October in London the event aims to ignite this nascent and fast-moving industry to come together to exchange knowledge and create new partnerships. This webinar is part of BrightTALK's Masterclass Series. Do you find it hard to get consistently great night’s sleep and not sure where to even begin with improving your sleep? Perhaps you would love to be able to get amazing sleep without drugs, alcohol or gimmicks... and looking for practical and effective ways so you can also experience that great night’s sleep that fully refreshes and recharges you for the morning. Insomnia and other sleep problems affect around one in every three people in the UK, that is approximately 22 million people in the UK alone. A staggering amount, especially since there are so many effective ways to improve sleep and wake up refreshed in the morning. You will benefit from this webinar if you currently have sleep issues or you would simply like to optimise your sleep for years to come. Not able to attend an event? Thrive: Discovery Weekend, Saturday 29th and Sunday 30th September, brings together over 100 inspirational workshops, classes, talks, therapies, activities and exhibitors all under one roof (and garden!) at the stunning Secret Manor in Tunbridge Wells. Discover positive mental health practices, stress management tools, natural beauty, mindfulness, parenting tips, yoga and pilates, fitness, craft, cooking, outdoor activities and more. This event is the perfect place to explore different ways to help enhance your family's lives and thrive! Early bird tickets available to buy online until midnight 14th September 2018, priced £20 each (normal price £25). Kids under 16 go free! I know how to get an audience involved and engaged with the topic and have a quiet confidence that connects with the audience in an authentic way, always leaving them with a memorable ‘take away’ from each talk or workshop. Beatrix was one of our expert speakers with our Live Long Well Summit that we organized in October 2017. From the first conversation, you could tell how knowledgeable she is about sleep and her passion for helping others overcome sleep issues. It was easy to arrange and liaise with her which always helps when organizing such complex events. During the interview for the summit, she pointed out so many things that are often overlooked when it comes to improving sleep. We had over 2,000 people watch this interview and the feedback was 100% positive. She is very easy to talk to and she presents her topic in a practical and simple way which helped the attendees to start improving their sleep right away. She has a warm and genuine style that comes from real life experience that we can relate to. Beatrix took part in a health and wellbeing season organised for the team here at Guy's and St Thomas' Charity. We knew that sleep was something people were interested in and some were struggling with. Her talk was interesting and focused on adjusting your routine to support better sleep. Beatrix has a lovely relaxed presenting style and is clearly passionate about her work. The session covered a lot of ground and she also signposted to some further materials for people to refer to. Many thanks, great fun and good to hear what Beatrix had to say. Put several of these tips into practise on the same night and had an excellent nights sleep! Attending Beatrix's seminar over lunch was a great investment of my time, as it was a great way in which to reacquaint myself with the approaches I need to take in order to enjoy healthy sleep. I enjoyed the honesty of Beatrix's testimony and it was great to hear from a practitioner who has struggled with the same kinds of issues associated with sleep, who showed real empathy to the kinds of issues people were experiencing. The seminar acted as a great 'reset' for me, and since then I have been enjoying real improvements in my sleep - mainly due to the reintroduction of a proper bedtime routine.